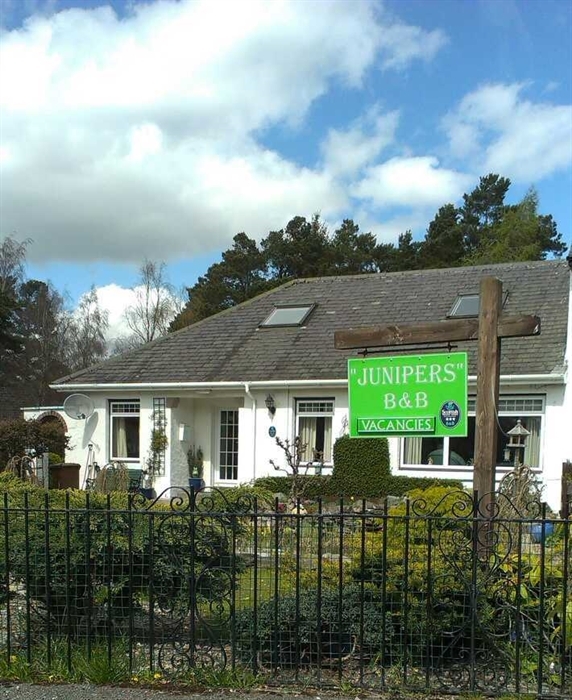 Junipers Guest House is located in Dellmhor (Inverdruie) about half a mile from Aviemore, on the ski-road to Glenmore and Cairngorm, at the heart of the National Park area. Everyone enjoys having a relaxing break once in a while, it can give you the perfect opportunity to unwind and recharge your batteries. 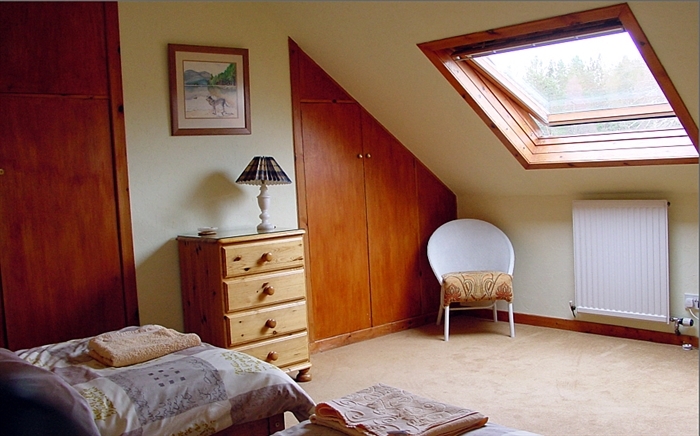 Junipers Bed & Breakfast is nestled in the heart of the new Cairngorm National Park and Monarch of the Glen country. 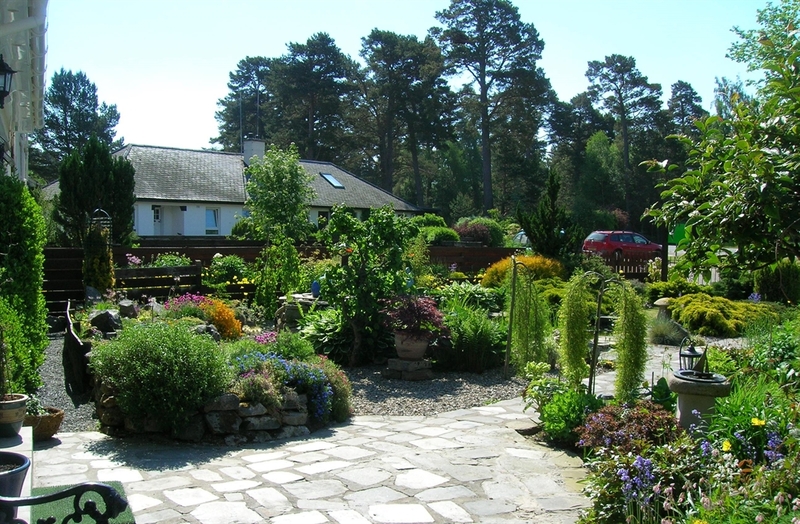 It is situated near the busy town of Aviemore and is run by Delmar Harris who aims to give all of her guests a friendly and comfortable stay. There are four rooms available, two twin rooms, one double room and an en-suite family room that sleeps up to four people. 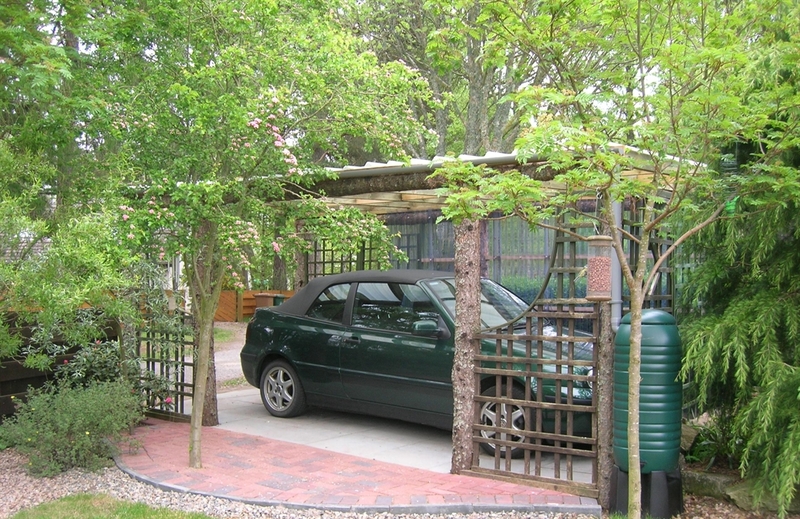 All rooms have access to shower and toilet facilities. 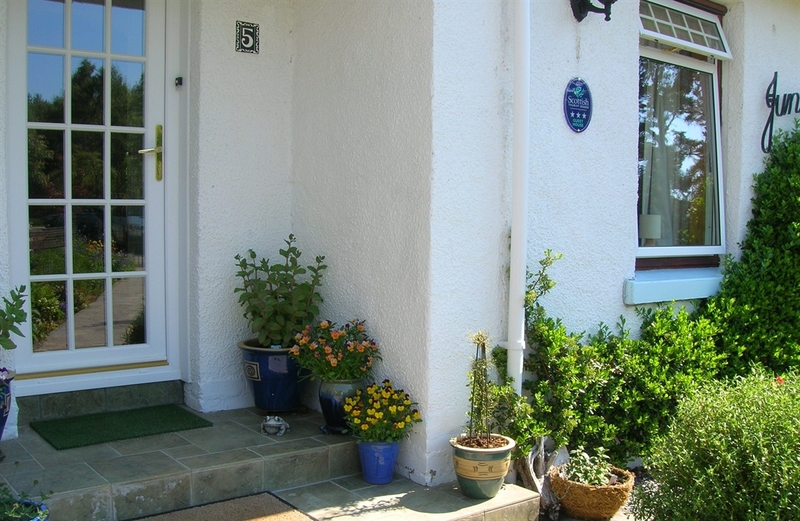 Central heating, colour television and tea and coffee making facilities are in the room. All of the rooms are strictly non-smoking. 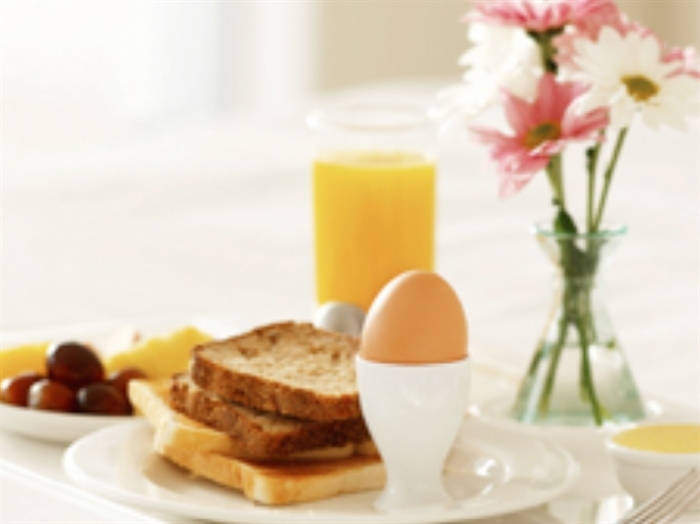 In the mornings you can enjoy a full-cooked breakfast which is served between 7.45am and 8.45am. Vegetarian breakfast is available on request and an earlier breakfast time can be arranged in advance. Packed lunches are also available by prior arrangement. Junipers is ideally located next to most of the main attractions however guests can enjoy being secluded enough to bask amongst the peace and tranquillity. 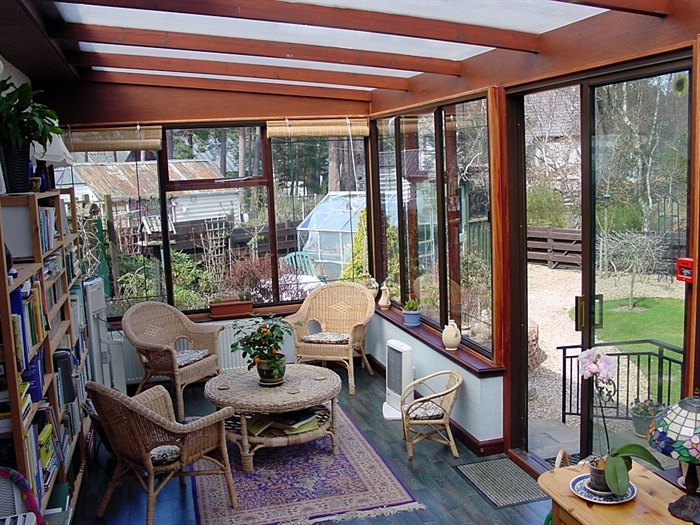 Junipers have a large sun room and alpine garden for guests to enjoy throughout their stay. 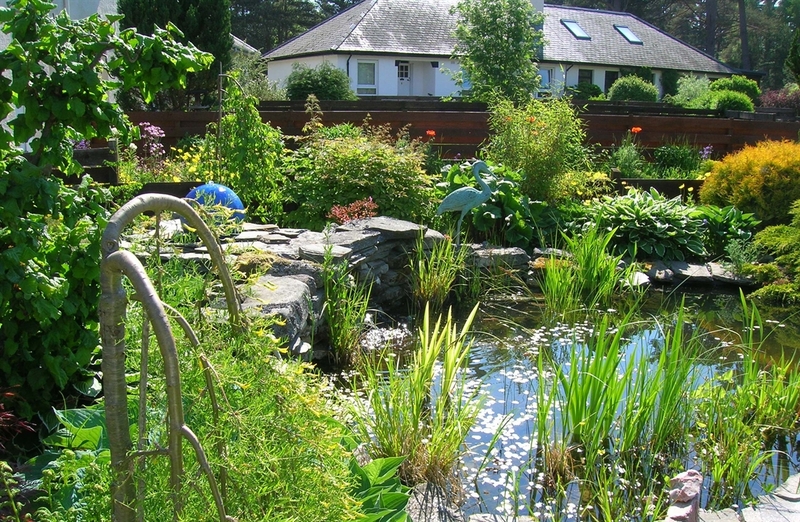 If you like to get out and about during your stay, there is a wealth of things to see and do at this popular part of Scotland. There are many fine walks with truly breath taking views around every corner. People can try many outdoor pursuit activities nearby including, skiing, fishing, mountain biking, climbing, sailing, bird-watching, golfing and so much more! After a day packed full of fun activities, why not wind down with a drink or two at one of the local pubs or enjoy a meal at one of the restaurants. 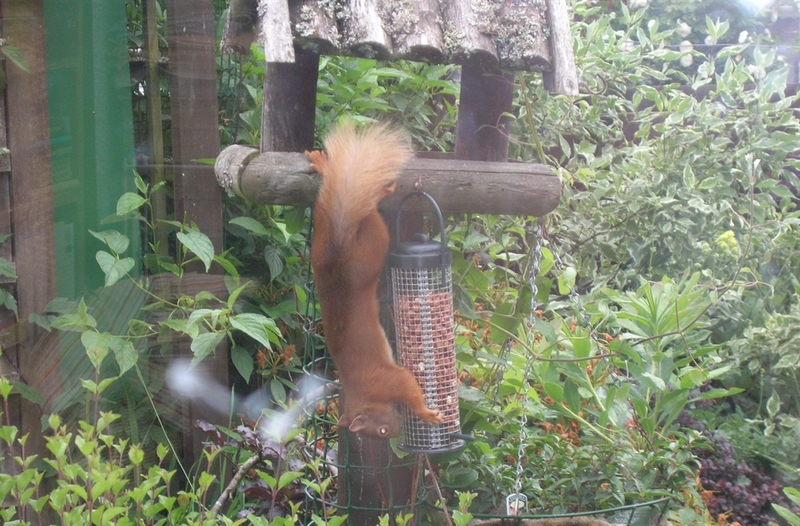 So if you are looking for a relaxing getaway, why not get in touch with Delmar, she looks forward to meeting you! Cancellation Policy: We reserve the right to charge the full bed and Breakfast rate unless we are able to re-let the cancelled room. A £1.50 surcharge will be added for credit card payments. Off road parking is available for guests. Dogs are permitted, if arranged in advance. Free WIFI throughout. To see the a video of our beautiful National Park in winter, made by two of our lovely guests please click here.